In being directed to imagined enemies this is a good representation of the culture of ‘grievo-max’ which more critical commentators have identified in the Scottish national character. O’Hagan writes that anxiety about Scottishness tends to manifest itself in “hating bad news about the country itself, and seeing critics as traitors”. The poem above neatly shows that ‘traitors’ doesn’t quite capture the complexity of it – critics are viewed as ‘above themselves’, outsiders thinking they are ‘better’. I think most people who grew up there (certainly in central Scotland) would recognise this tendency. Issues like racism and poverty are reframed as plagues visited upon a good-hearted people by others who lack their unique character. Of course, it bears repeating that I write about this because it’s been massively inflamed by the referendum and not because it’s unique to Scotland: we certainly don’t have to look far to see the awful manifestations of English and/or British nationalism which, as countless commentators have pointed out, certainly looks and feels a lot uglier than Scottish nationalism. Yet the former is widely recognised as nationalism – certainly by those who identify as being on the left – while the latter was and still is repeatedly denied. I noticed yesterday that a vocal Yes supporter, who argued throughout the year that their nationalism wasn’t nationalist, posted a status complaining that ‘nationalism’ was the most overused word of the year. If the intent wasn’t clear, they explained in the comments that ‘nationalism’ was incorrectly applied to any and all arguments for independence. Yet from our discussions I know that the definition of nationalism they cling to is an extremely narrow one, almost entirely expressed in support for the SNP. It seemed (and clearly still seems) impossible to this person, and to many others, that the very way ‘independence’, ‘self-determination’, ‘social justice’ and all the other ‘not-nationalist’ arguments were framed could be (and was in my opinion) nationalist in and of themselves. ‘I’m not nationalist’ became something of a mantra for left-wing supporters of independence, even as the many meanings of the term remained unexamined. ‘Nationalism’ became something few understood but no-one wanted to be – a dynamic which is equally applicable to racism. My second blog post was about racism in the UK after the Mark Duggan inquest verdict and as we end the year it is wretchedly obvious that we’ve made absolutely no progress on that front. Few non-poc take the time to think about what racism is yet most of us are absolutely certain it doesn’t apply to us. It remains an ugly stain at the heart of the UK and one which only seems to be getting worse. Diane Abbott states here that she has “never known a more toxic atmosphere of issues around immigration & ‘the other'”. The rise of UKIP has been disturbing but the speed and ease with which the ‘main parties’ have (again) adopted their rhetoric is truly terrifying. As I stated, the English/British nationalism embodied by UKIP (albeit of a sort which won UKIP an MEP in Scotland) is different from Scottish nationalism but it shares the conviction that it is not actually ‘nationalism’. It certainly doesn’t view itself as racist and everyone from The Sun to The Guardian has played a part in pushing the ‘UKIP aren’t racist, they’re reflecting the reasonable concerns of ordinary people’ line (one which, as we see in the above blog and here, has also made insidious use of the relatively recent shorthand that ‘gay rights = progressive’). It seems likely that the 2015 election could be defined not by Labour and the Tories but by the SNP and UKIP. Not only in their success but in their setting of the agenda and tone (witness Jim Murphy’s awkward attempts to play up his Scottishness at every available opportunity). Nationalism hasn’t been the most overused word of 2014, it’s been perhaps the most neglected and misunderstood: it has become absolutely central to our politics and our national character. Anticipating objections, this isn’t to say that nationalism hasn’t always been present – of course it has – but it hasn’t been so overt and so dominant certainly in my living memory. It seems like a bleak time to be a socialist and an internationalist – someone who doesn’t think that the people of Glasgow are particularly different in their ‘specialness’ from the people of London, or Cardiff, or Lisbon, or Budapest etc. People don’t make ‘Glasgow’ – we make and define each other and in that process we make the world. And what a world it can be when we remember the things which unite us and the international battles which must take place for things to get better. 2015 is going to be a difficult year and we’ll have to step up to play our parts. Solidarity, always. bearing in mind we have come a long way, you know, 20 years ago there was, it was racism…and it’s taken that next generation to drive a cultural change…so, you know, homophobia is where racism was 20 years ago. So we not only have a straight bloke on speaking about homophobia, we now have a white bloke speaking about racism. And speaking about it in a spectacularly stupid and offensive manner. ‘Homophobia is where racism was 20 years ago’. What does that even mean?! The (barely) implicit message is that racism is sorted now, a staggering assertion in any context but especially so when made on a current affairs show barely a week after the Duggan verdict. Furthermore the suggestion that being gay in the UK in 2014 is comparable to being black in the UK in 1994 is breathtaking. Lest we forget, 1993 saw the murder of Stephen Lawrence and an ensuing series of events which led to the Macpherson Report and the police being labelled ‘institutionally racist’. It clearly remains so and constitutes just one aspect of our deep problem of racism. The idea that I as a white gay man face a similar reality is just wrong and adds absolutely nothing to efforts against homophobia. If anything, it cheapens them. Cohen, of course, was on largely to advertise his ‘anti-bullying’ charity and while his heart may be in the right place this organisation hasn’t exactly done much to date. This has proven to be largely irrelevant however, with Cohen being lauded as some kind of latter-day Saint by significant elements of the gay community and using this as a launchpad for a range of merchandise which is heavily promoted to a gay audience. We still have absolutely no idea as to whether Cohen personally profits from this merchandise: all we are told is that ‘every purchase benefits’ the Foundation. Given the involvement of companies with atrocious human rights records like Nike and the statement of StandUp’s Chief Exec that “More than 15 percent of every dollar we took in for the StandUp brand went to support Foundation work”, there’s clearly a lot of unaccounted money sloshing around. Asking these questions, however, requires some actual journalism and who can be bothered with that when there’s a fit man stripping down to his pants? And so we end up with this absurd, counter-productive spokesperson on Newsnight. I saw 12 Years A Slave a few months ago at the London Film Festival. I liked it well enough – it’s well-made, features some brilliant performances and proved engrossing. I wasn’t, however, as blown away by it as most of the American critics I’d read had been. I particularly found the claims that it was the ‘most brutal’ Hollywood film ever made to be quite odd: yes, it’s difficult to watch at times but the violence (which is rarely as extreme as much advance word would have it) is countered by a strong sentimentality. It was no surprise then that I found bell hooks’ take on it (“sentimental clap-trap”) to be compelling, if characteristically blunt. As I left the cinema after seeing it, the sound of weeping echoed around the room. It’s certainly the most tear-inducing film I’ve ever seen in a public setting. What partly drove some of my own thoughts on it was the presence in the audience of some people whose response to the London riots had both angered and upset me. How, I wondered, did the racism portrayed in the film connect in their minds to the racism which played such a massive part in the riots and responses to them? Did it even connect at all? Whenever a movie, documentary or otherwise, is made about a terrible historical atrocity – the Holocaust, genocide, slavery – the easiest approach for the filmmaker is to shock the audience while simultaneously making them feel good about themselves for being so different from those brutes from another era – validating all of their beliefs about the past (bad) and themselves (good.) But 12 Years a Slave is too brutal a film, and McQueen too clear-eyed a filmmaker, to do that. If the film does indeed intend for us to think about racism as a deeply-embedded structure of inequality, of brutality, of human misery, it is a failure. The brilliance of the novel Alone in Berlin is that it makes us realise that most Nazis were just like us, rather than the caricatured visions of evil that we so readily imagine. To get ahead in Nazi Germany meant at the very least acquiescing to what was happening while being a ‘good’ person and opposing the Nazi regime meant almost certain misery and probably death. How many of us have that moral courage? I think it’s a very difficult and uncomfortable question to answer, if we’re honest with ourselves. 12 Years A Slave avoids this discomfort and I can’t imagine many viewers leaving the film wondering what their behaviour might have been had they been alive at that time, in those circumstances. The racism it depicts is both very obvious and very in the past. If this offers comfort to me as a white (and liberal) viewer, it offers us nothing in terms of understanding racism as a force today. What seemed clear from the riots and was underlined yesterday by the Mark Duggan verdict (and the responses to it) is that many (most?) people in the UK have absolutely no understanding of racism as an endemic system where it’s not only the police force that is institutionally racist. The popular law tweeter Jack of Kent instantly responded to the verdict by tweeting “Hurrah for a jurisdiction where juries can come to verdicts which are unpopular” before engaging in some twisted point-scoring, portraying himself as the dispassionate and rational observer against a legion of over-emotional nitwits who had rushed to offence. This was about the law, not about race, a line taken by the police even as they lied and smeared after killing yet another black person and getting away with it. If the instinctive rush to defend the police is disturbing, meanwhile, the sense (also seen re: the riots) that many believe ‘thugs’ and ‘street criminals’ are less than human and deserve to be brutalised is downright terrifying. The police and many in the media know this – that’s why they have repeatedly tried to control the narrative and assert that Duggan was a ‘violent gang member’. “I guess it’s just me who sees a person as a person, not as their skin colour first.” This is how I feel. Racism continues because it’s consistently brought up.” You get that? Racism is your fault, losers! Stop bringing it up! People are just people! It would be hysterical in its stupidity if it wasn’t so damaging and widespread. The Guardian’s James Ball led the charge, joined by Charlie Brooker, Stuart McGurk and many others. It was like they were living in some alternate world where nothing much of note had happened that evening. Perversely, Ball and others then followed up with a chorus of sneers at anyone who thought Hitzlsperger’s coming out wasn’t ‘news’. Of course it was, they insisted – gay people are oppressed! And so by writing some patronising words about a gay man (after decades of poisonous, destructive homophobia) The Sun managed to push its vile racist message, that they don’t care about black people, without criticism. It’s a move which is testament to how far the UK has come with regards to homosexuality – what was once hated is now wheeled out as a diversion tactic. This is no surprise given the neutered self-obsession of the gay movement and its firm embedding within the neoliberal mainstream. Gay liberation and gay politics poses absolutely no threat to the wealthy interests The Sun acts as a front for – interests which are served well by our racist structures. Nonetheless, as night follows day you’ll find a white gay man drawing a comparison between gay people and black people. There are volumes of books that could be written about this facile and offensive comparison, which does a disservice both to the fight against homophobia and to anti-racism. Suffice to say that we’re not in danger of being stopped and searched because we’re gay and we’re certainly not about to be shot dead by the police any time soon. In applauding The Sun people get to feel good about themselves. The whole Duggan affair offers no such balm and even threatens widely-held images not only of our country but of ourselves. And so it’s easier ignored. 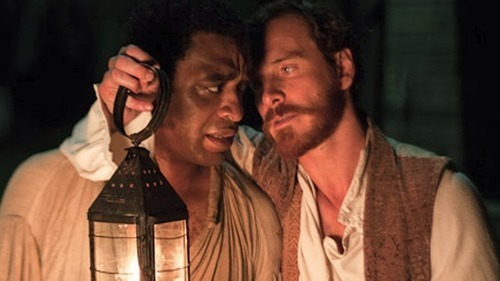 12 Years A Slave might offer a visceral depiction of racism but ultimately it offers the same soothing balm and makes it easy to affirm our self-image as ‘good’ and ‘not racist’ people. As long as we keep buying into this and avoiding the reality of racism, the Mark Duggans of this world will keep paying the price. I love people. An odd statement, I know, and one that some (most?!) who know me would immediately scoff at. I can be very scathing about aspects of people (and aspects of myself.) Yet this love and this disdain both stem from the same strong belief that each one of us has enormous potential – to think, to act, to create, to empathise, to live lives which always aspire to something that bit greater than what we are. That is why I’m a socialist. I have an unshakeable belief that people are fundamentally ‘good’ – that people want the best not only for themselves, but for each other – and that co-operation is both a way to achieve this and, in itself, the peak expression of human dignity and endeavour. I believe passionately that as a society we should work to maximise the opportunities available to everyone, whatever their background, so that they may understand and begin to realise their potential. Talk of opportunities and background is, of course, everywhere at the moment. Team GB exceeded all expectations at the Olympics and discussion has turned to how to foster future opportunities for potential Olympians. Yet this seemingly innocuous subject is the terrain for a clash of visions of Britain. On the one hand you have those, like the Prime Minister or the Daily Mail journalist on BBC News this morning, who are fixating on the individual efforts of the athletes involved. The journalist spoke of the hard work and ambition of the athletes, contrasting their efforts with those chasing ‘quick’ success on ‘X Factor’. As I’ve previously noted, this narrative has also been used as a strong contrast to the riots last year, the differing paths of an Olympic athlete and a looter being reduced to rational, individual choices. It’s a clearly neoliberal interpretation, focusing on atomised individuals who achieve almost entirely due to their own determination. It’s easy to understand why those with Conservative leanings would favour this idea. The second, somewhat quieter vision emphasises the fundamental importance of state spending on sport, the combined efforts of many and the opportunities afforded as a result. A perfect example of this appears in today’s Guardian and it uses this foundation to argue that the post-Olympic glow is the ideal time to make the case for a social democratic Britain. It’s clear, then, that many will lay claim to the so-called ‘feel-good factor’ generated by the Olympics. Yet once the athletes have packed up and gone home, what exactly is this factor? Reams have already been written about the ‘positive nationalism’ which the Games have allowed; about the British being unembarrassed about pride once more. Much has been made of the success of some non-white athletes – immigrants to the country, even. The Games, we are told, has presented us with the face of a modern, open and happy country. However as the Games closed, a poll presented as proof of this happiness found that a majority of Britons agreed with the statement that “More often than not immigrants … do not bring anything positive, and the likes of the Olympic-winning athletes are an exception”. 68% disagreed that the Olympics would make them ‘more positive or less worried’ about immigration. Fascinatingly, 68% also agreed that “modern Britain is stronger as a country of many cultures”. How this fits with a disdain for immigration is difficult to comprehend but, nonetheless, it shows that questions are raised immediately as you look behind the gloss of the Olympic cheer. Nationalistic pride by definition must exclude people – can it ever truly be ‘positive’? The abundance of articles about the ethnic origins of some Team GB athletes raised many concerns. Aside from the patronising co-opting of someone’s race as a weapon with which to attack ‘racists’, there were implicit ideas about ‘deserving’ immigrants who achieve gold and, by extension, ‘undeserving’ immigrants – the kind you read about in the Daily Mail, in fact. Of course, this wasn’t the intention of the vast majority. They simply felt enormous pride that ‘their’ athletes had done well. Yet the refusal to countenance any political connotations, inevitably presented as ‘negative’, seems to me to already be a strong feature of aforementioned ‘feel-good factor’. Affirmations of the power of ‘positive thinking’ have been everywhere, with people determining to ‘stay positive’ and ‘avoid negativity’. The problem with this is that ‘positive thinking’ is almost always apolitical and being apolitical is inherently a reactionary political position. Understanding the power structures of society, understanding the class privilege which led to the over-representation of private schooled athletes in Team GB, understanding the racial privilege which led many to feel they should turn non-white athletes into liberal totems, understanding the competing ideologies at the heart of even simple discussions about supporting athletes – none of these can ever be unremittingly ‘positive’ as they involve confronting a society which is divided and in many ways flawed. They involve bringing Bad Feeling into the warm glow of an apolitical ‘togetherness’. This was perfectly illustrated by last night’s deeply flawed ‘The Riots: In Their Own Words’ documentary on BBC 2. Barely had the ink dried on the slew of newspaper editorials celebrating the ‘new Britain’ before many were taking to social media to once again spit bile at the ‘feral rats’ and ‘animals’ who rioted and looted last year. Of course many did awful, inexcusable things during those days but in what sense is reducing someone to the level of a beast in any way ‘positive’? Wouldn’t the ‘positive’ attitude be to try and put ourselves in their shoes and begin to try and comprehend why they felt they could, should, do these things? To also try and understand that which allows a human being to be killed and the killers to go free, as has happened with Mark Duggan (amongst others)? It is ‘positive’ to ignore this? Most people who do speak about this do not do so because they want to be agents of doom. They don’t do it because they’re naive do-gooders or because they want to be different. They do so because of their love and respect for people; their belief that the United Kingdom can be a place where the potential of a former looter is understood as much as that of a Royal and where, crucially, it is afforded real and lasting opportunities. Understanding the deep inequalities and injustices which persist in our society may not fit nicely into a ‘feel-good factor’ but, ultimately, the desire for change which stems from that is far more ‘positive’ than a shallow nationalism.